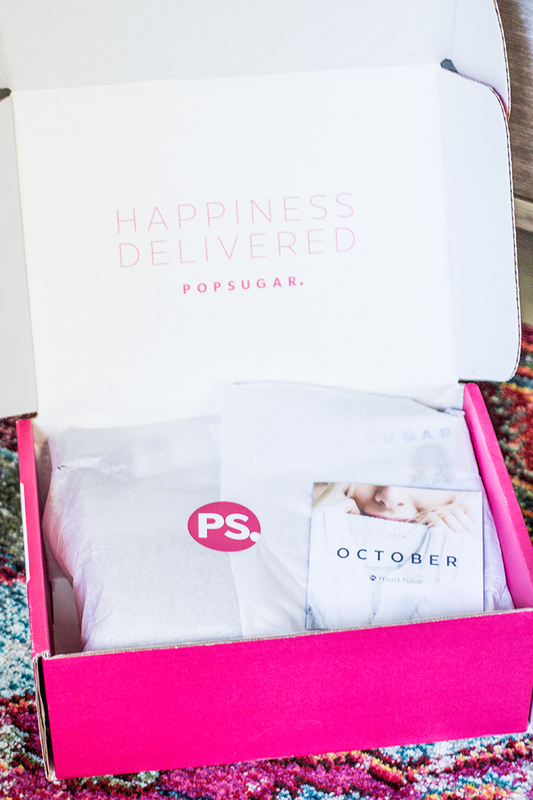 It's that time of the month again...my POPSUGAR Must Have box has arrived (insert heart eye emoji). You all know how much I love mail, well this box exceeded my expectations and them some. 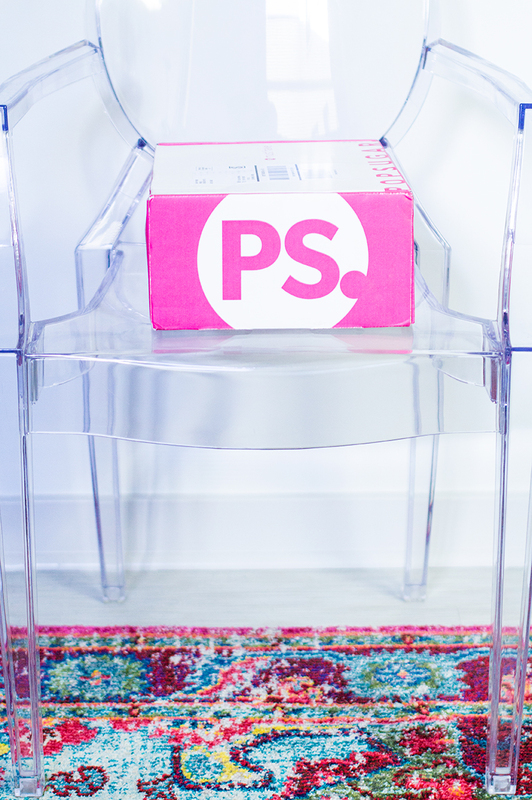 Who doesn't love getting a pretty pink box of goodies shipped to your door? If you are bored with life and want to add a little excitement, might I recommend a subscription box? I'm actually thinking of gifting the box for the holidays. A great way for a friend or family member to get a continuous gift for a few months! 1. 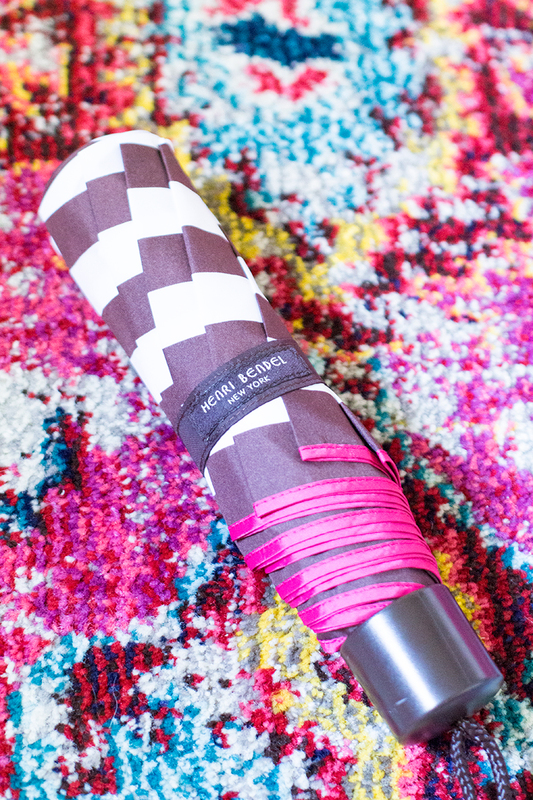 Henri Bendel Umbrella - I live in the midwest, which means the weather is ultra moody. I always keep an umbrella at home, work, and in my car. Unfortunately the last rain storm broke my car hime umbrella so I was really excited to see this gift. Not to mention, it's super cute! Perfect with a trench coat and galoshes. 2. Lalicious Shower Oil & Bubble Bath - It's only fitting to send bubble bath with an umbrella. Why? When you're outside in the cold, wet, and rain you'll need to come in and warm up...with a bubble bath of course. If only you could smell this - it smells delicious! 3. My Cup Of Cocoa Hot Chocolate Mix - Fall is upon us and so is the cold weather. I am very excited to try this dark chocolate hot cocoa mix. Have you tried this kind before? 4. 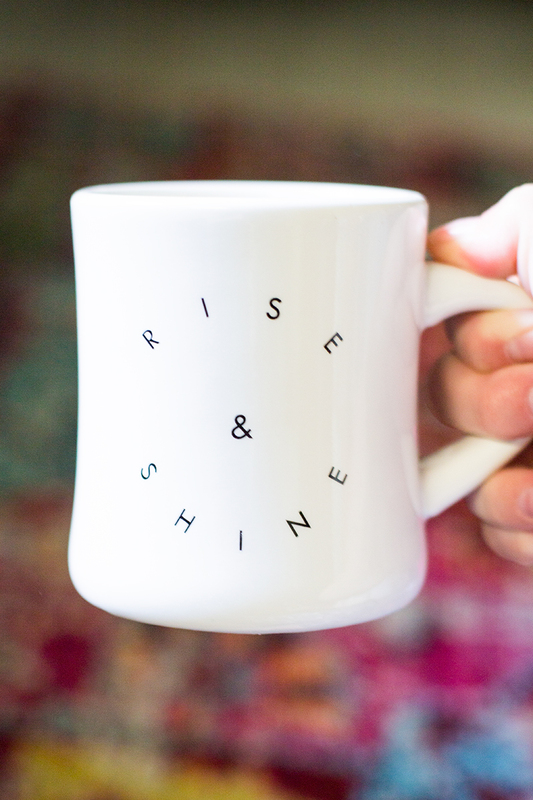 Morning Culture Rise & Shine Mug - This makes #27 in my mug collection...but who's counting?! 5. Mini Makeup Eraser - I generally use makeup remover wipes but those tend to get costly and when I run out and haven't made it to the store, I'm stuck scrubbing my face. This little makeup eraser is good for 1,000 washes - just wet it with warm water and it gently removes all makeup. How perfect! 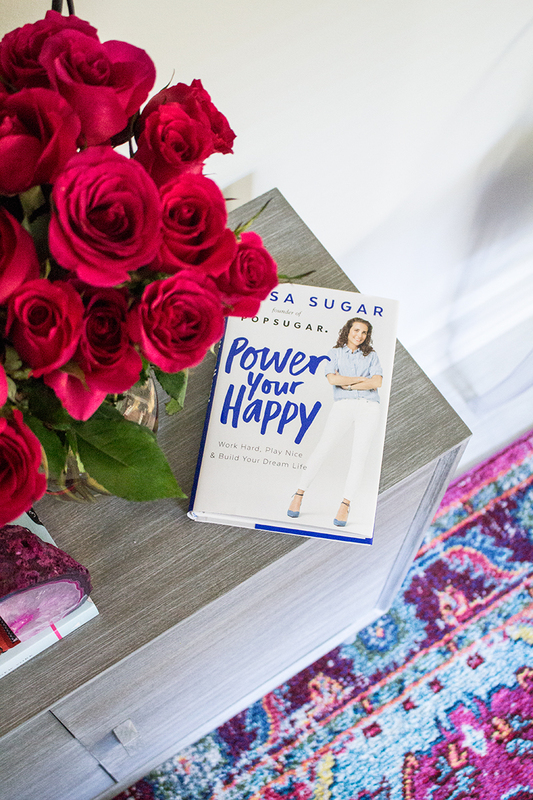 Extras: Lisa Sugar's "Power Your Happy" Book (I'm halfway through and I love it! If you need some motivation and inspiration -read this.) Revlon Colorstay Liquid Eye Pen - this lasts all day without smearing!